Asquith John of Questelles stands accused of causing Tobyâs death, which took place earlier this year. On Wednesday, December 28, the prosecution called a total of five witnesses to the stand to give testimony, including Tobyâs sister and police officers. 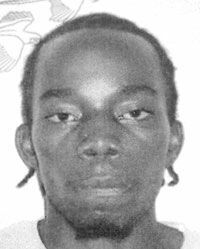 Toby, 24, of Choice Hill, Questelles, was shot in the head some time after 8:00 pm on March 22, 2011. The matter was adjourned to January 6 when more prosecution witnesses are expected to take the stand. Lawyer Ronald Marks represents the accused.